Explaining etiquette from A (“Applause”) to Z (“Zits”), Alex J. Packer blends outrageous humor with sound advice as he guides readers and explains why manners and etiquette are important—because people who know how to handle themselves in social situations come out on top, get what they want, feel good about themselves, and enjoy life to the fullest.Full of practical tips for every occasion, How Rude!® is a serious etiquette encyclopedia—and a hilarious read. In 480 pages, this revised and updated edition describes the basics of polite behavior in all kinds of situations at home, in school, online, and in the world. 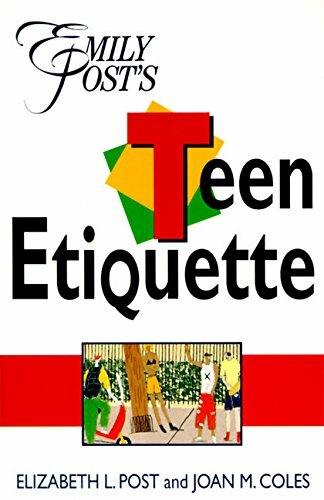 Here's an etiquette book that teens will want to read—because it keeps them laughing, doesn't preach, and deals with issues that matter to them, as teens themselves reported in a nationwide survey. 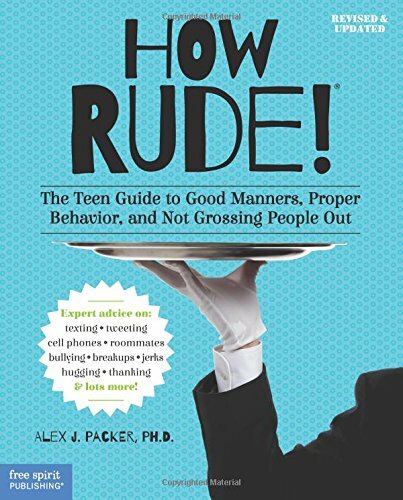 In How Rude!, author Alex J. Packer blends outrageous humor with sound advice as he guides readers through the mysterious world of manners from A ("Applause") to Z ("Zits"). He starts by explaining why etiquette is important—because people who know how to handle themselves in social situations come out on top, get what they want, feel good about themselves, and enjoy life to the fullest. Fourteen chapters describe the basics of polite behavior in all kinds of situations at home, in school, and in the world. 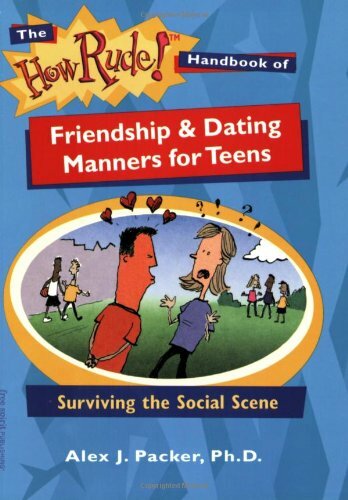 Teens learn how to be a host with the most (and a guest with the best), what to do (and not do) when going online or waiting in line, how to deal with rude relatives, how to act at the mall and the concert hall, how to make introductions, who invented manners, and much more. Hundreds of "Dear Alex" questions and answers cover everything from dating to breaking up, thank-you notes to table manners, ethnic jokes to social cliques, skateboarding to celebrating. Survey results reveal what teens, parents, and teachers think about manners and why they're important. Full of practical tips for every occasion, How Rude! is a serious etiquette encyclopedia—and a hilarious read. Understanding polite behavior is more than knowing which fork to use for salad at a fancy restaurant. With his signature style and humor, Alex J. Packer offers up small cards that pack a mighty manners punch. 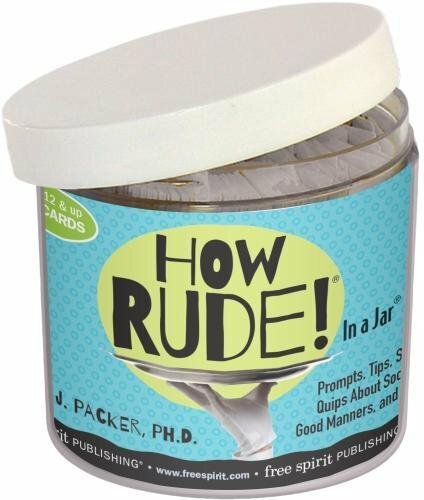 Unique, often quirky, and sometimes hilarious, the social skills activ­ities in this jar will help kids and teens learn how to treat others with courtesy, empathy, kindness, and respect—and have plenty of fun along the way. Some bugs litter. Some pass gas. Some bugs throw their poop! 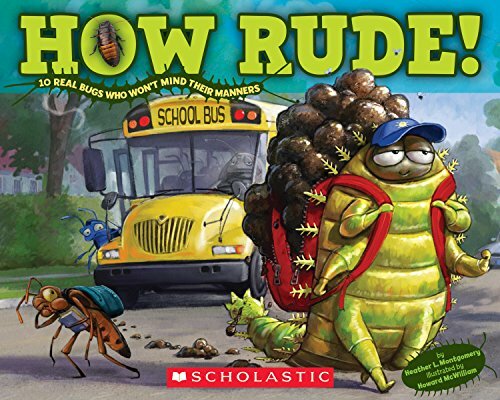 Discover ten of the rudest, crudest bugs around.Full of scientific facts, humor and just the right amount of yuck, How Rude! will make you scream "gross!" Featuring a countdown of the top 10 bad bugs who just won't mind their manners. One part illustration and one part photography, How Rude! is hilarious, informative, and seriously gross! Specially geared to today's teenagers, this revised edition of Emily Post Talks with Teens About Manners and Etiquette offers friendly advice on everything from talking on the phone, dining at fancy restaurants, going on a date, giving parties, and much more. Is there a proper way to make new friends? Is teasing always rude? What can you do about friendship problems? How can you show a girl (or guy) that you like her (or him)? What’s the best way to ask someone out . . . and who pays for the date? This book answers these questions and many more. Along the way, teens learn the basics of polite behavior with friends and more-than-friends—and laugh out loud while learning. 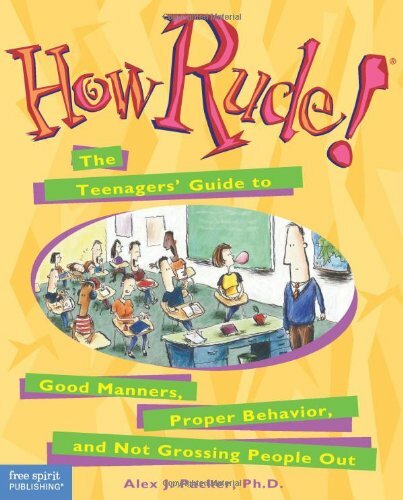 Kids today need manners more than ever, and Dude, That’s Rude! makes it fun and easy to get some. Full-color cartoons and kid-friendly text teach the basics of polite behavior in all kinds of situations—at home, at school, in the bathroom, on the phone, at the mall, and more. Kids learn Power Words to use and P.U. Words to avoid, why their family deserves their best manners, and the essentials of e-tiquette (politeness online). 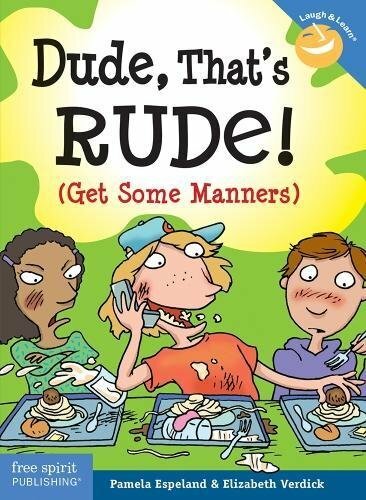 It seems like light reading, but it’s serious stuff: Manners are major social skills, and this book gives kids a great start. When Pig kindly gives a lift to Mole and his very large box he can’t resist asking him, “What’s in the box?” “NONE OF YOUR BUSINESS!” retorts Mole rudely, and Pig chucks his ungrateful passenger out of the car and goes home. But Pig and his friends, Hippo, Girl and Mouse, are so curious about the mysterious box they sneak back to find out what could be inside. Each animal dreams of the wonderful things that could be in the box, but it is only when Mole tricks them into going into the box and locks them in, that they find out! And now it is Mole who feels tricked and left out. The story ends with apologies all round for rude behaviour and the friends all share the fun of playing together, whether inside or outside the box! 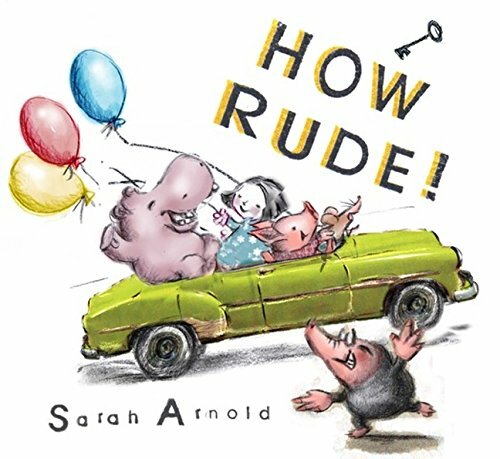 A hilarious picture book with an important message about kindness, How Rude! is the first in a new series about two good friends, Dot and Duck. Dot invites Duck to a tea party, but from the moment Duck enters the house, the tea party descends into chaos... From licking sandwich fillings to spitting tea, Duck gets ruder... and ruder... and ruder. Just how will Dot react to such outrageous behaviour? 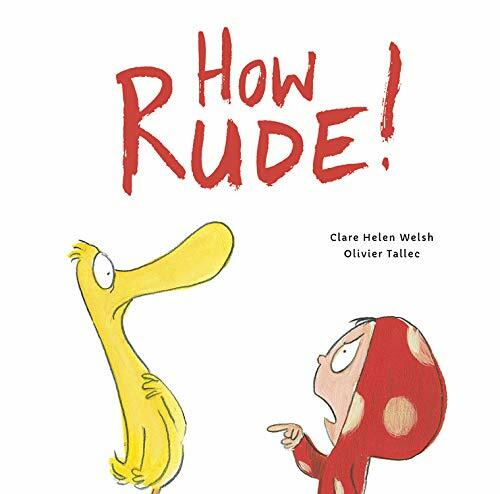 Simple, funny and ultimately touching, this book will appeal to any child who is learning what it is not to be rude and, more importantly, what it is to be a true friend.